Singers, songwriters, and aspiring producers can’t wait to get into the studio to lay down new tracks. If they have a studio in their home, they don’t have to wait until they can afford to reserve time. Instead, they can get to work whenever creativity strikes. A home studio needs the best music production software. This software is called a digital audio workstation (DAW). What’s a DAW? We’re glad you asked. A DAW is a computer music software application. With this studio, at home producers can record, edit, and produce audio files. Audio files that can be edited with this type of software include songs, musical pieces, human speech, and sound effects. The important thing for producers to know is not all DAWs are created the same, create the same results, or cost relatively the same. Since some software has different features, it’s a critical decision to choose the right program. If you do your research, you’ll be able to choose one that won’t make you regret your choices late. Below, we will go over 5 DAW software programs; Cubase Elements 8, Logic Studio, Ableton Live 9, FL Studio, BTV Solo, and Bitwig Studio. We’ve chosen these products because of their user friendliness, price, and history of creating great results. FL Studio might sound like a new production company, but it’s not. The software company changed their name from Fruity Loops to FL Studio. 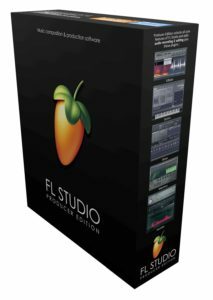 FL Studio’s DAW software is popular with beginners. One of the main reasons the software is so attractive is because it can easily be upgraded and program updates are always free. When producers buy this package, they’re getting access to audio recording and full playlist features. Eight extra plug-ins are included with purchase. These plug-ins are ideal for rap, hip-hop, or R&B tracks. The software can be used for recording, arrangement editing, mixing, mastering, and live performance among others. At this point, you’re probably wondering what the downsides are to FL Studio. One of the biggest issues beginner users struggles with is organization. The program offers no audio organization. Without a way to organize their beats, samples, and tracks, users can quickly become disorganized. 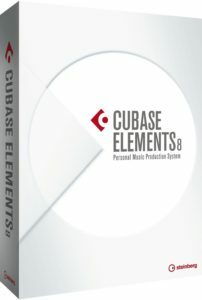 Cubase Elements 8 is a popular choice for in-home studios because it is sophisticated and reliable. Some will argue that it is a bit involved, so it might not be the best option for everyone, especially beginners. However, if a user has basic knowledge of how to use a DAW, they will appreciate the programs recording, editing, mixing, and live instrument choices. The sophistication of the DAW makes it the go-to choice for professional producers all over the globe. The Cubase name is one of the most recognized in the recording industry. It is sold with 30 minutes of HD video tutorials and users have access to a support team. However, beginners who haven’t had much success with the program state the tutorials are vague and not useful for beginners. Logic Studio was created by Apple as a music production suite. When first unveiled, it was reviewed as the best music producing software. The first suite, called Logic Studio, included several popular programs including Logic Pro, Mainstage, Soundtrack, Pro WaveBurner, Apple Loops, and Quick Time Pro. In September 2011, Apple announced the suite was being discontinued, and only two of the programs will be sold separately. The two programs that were sold separately were Logic Pro and Mainstage. Logic Pro was the DAW and MIDI sequencer used in Logic Studio. Logic Pro includes modeled instruments that can be sampled, effect plug-ins, and audio loops. 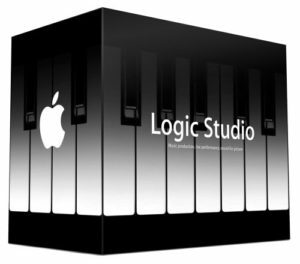 To help anyone use the Apple products, Logic Studio includes demo projects with detailed instructions for use. By separating the products, Apple made it more affordable to buy the DAW, which was the main reason people purchased the program in the first place. Unfortunately, this is one software that Windows users are missing out because it only runs on Mac OS. Ableton Live 9 is a great music production software program introduced in 1999. Since its introduction to the market, it has been a popular choice for producers with medium to expert skills. With this software, producers can cut, paste, and splice, which allows for seamless MIDI sequencing. The hardware includes a large sounds package. The package includes 23 music libraries, which equals about 50 GBs of sound. 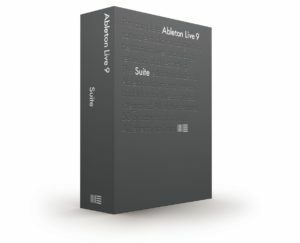 Ableton Live 9 is particularly meant to be used in a live performance but also does great for composing, mastering, recording, mixing, and arranging audio tracks. One of the cons associated with this program is that there is no bouncing option. The interface is also pretty bare. The lack of features isn’t an issue for those that are comfortable with DAWs but can be problematic for beginners. Although, it’s important to realize the lack of features also allows for spontaneous creativity. Another downside to Ableton Live 9 software is its price. Although it’s probably worth it, several other comparable software programs cost much less than this program. When producers buy this package, they’re getting access to audio recording and full playlist features. Eight extra plug-ins are included with purchase. These plug-ins are ideal for rap, hip-hop, or R&B tracks. If you’re familiar with popular DAW software programs, you probably recognize the BTV acronym as Beat Thang Virtual. It’s true; BTV Solo is a Beat Thang Virtual product. But you shouldn’t expect everything you know about Beat Thang Virtual to be present in BTV Solo. Dallas Austin is a 2x Grammy-winning producer and the person responsible for creating BTV Solo. Dallas created this program in hopes that users would eventually upgrade to Beat Thang Virtual. 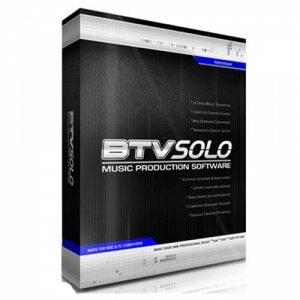 When you purchase BTV Solo, you’ll be impressed by the ability to use a MAC or PC. You also don’t need any other fancy equipment. In fact, you don’t need anything but a simple laptop and the program to get started. The standalone DAW is comparable to the more expensive products from Beat Thing Virtual but doesn’t offer a sampler. For some, the absence of a sampler isn’t a big deal. Other producers may not be interested in this software at all because it doesn’t feature a sampler. Another con associated with this program is that there is no search bar. Without a search bar, it is very time-consuming to search through available plug-ins and other accessories. Bitwig Studio is the brainchild of Bitwig GmbH and has been around for years now, although they are relatively new to the industry. Music producers who are familiar with Ableton Live may notice some similarities between the two software’s user interface. However, Bitwig also has its distinct features. The current Version is still compatible with Windows, Mac, and Linux and its proudest new feature is the Phase-4 synth, a four-oscillator manipulation synthesizer. The update also includes time signature changes, an expanded view, voice stacking capabilities, and a new modulator. Some improvements were made in its time stretching feature and sound content library which now comes with a new set of factory presets that covers both the existing and recently added virtual instruments and effects of the software. Overall, the Bitwig Studio doesn’t provide the most user-friendly interface for beginners and there are only a few tutorials available online on how to use and navigate through the software. What Is the Best Music Production Software? Determining which one is best for you will depend on what you expect the software to do, how comfortable you are with learning curves, and the type of music you are interested in creating. By comparing the programs listed above, you’re sure to find the best music production software based on your own music making and recording needs. The great thing about these software choices is that any of them can make a good addition to your very own recording studio at home. The trick is to get to know them well and what they can offer before even making a decision. Thus, the answer to the question of what music production software is the best is highly subjective and dependent on the music producers’ personal preference. Some of them may be better than the others in terms of features, pricing, usability, and whatnot. However, at the end of the day, it all comes down to your own expectations and standards. After all, music creation calls for skills, creativity, and individuality. So, the best software is certainly the one that can help you maximize your skills and can better serve as a medium to express your creativity and individuality through your music. Since some software have different features, it is a critical decision to choose the right program for you. If you do your research, you’ll be able to pick one that perfectly suits your needs and won’t make you regret your choices later on. Remember that what matters is how comfortable you are with the software you are using because ultimately, that will affect the quality of your work. For more on getting started with music production check out our Ultimate Music Production Guide for tips on everything from recommended equipment and how to set up your in home studio. Jump start your music producing with these 500 FREE music samples. Where Should We Send Your Music? It looks like your interested in learning how to produce and create your own music. 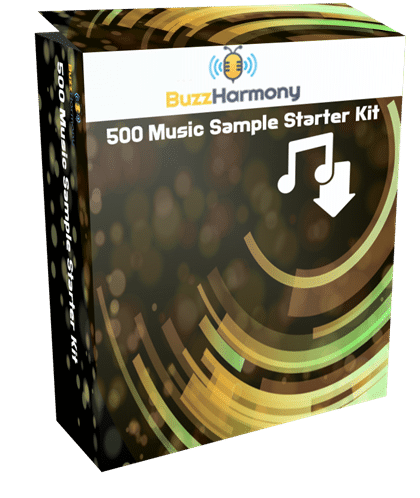 Why not let us help you get started with these FREE 500 high quality music samples!